When did you start SLVDR? And does the name mean anything in particular? Well, in Spanish, Salvador means Ã¢â‚¬Å“salvation.Ã¢â‚¬ So for me personally, I’d been doing snowboard outerwear design for almost 13, 14 years, and to work on a different type of design project was kind of like my design salvation. If I’m not working on the outerwear, I’m thinking about some furniture I want to do, or the dream house I want to build or whatever. For me, design is problem solving and I like puzzles and that kind of stuff so it’s always exercising the left side of the brain I guess. 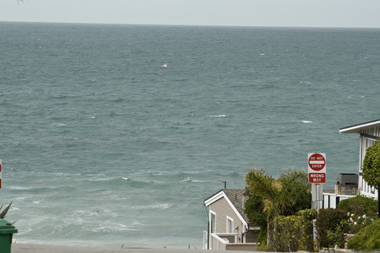 How does being located here in beautiful Laguna Beach factor into the brand’s aesthetic? It’s definitely a more casual brand. When I think of the design, I take classic materials and themes and aesthetics but try to loosen them up a little bit and put them in circumstances that you don’t normally see them. So being around here, the climate’s pretty mild, we’re not making the most technical, heaviest, warmest stuff. It’s just pretty laid-back, not pretentious, and definitely subtler. Laguna’s just laid-back in that way. It seems really idyllic here. It’s amazing. It is. It totally is. It’s a small, resort, beach community. And they really foster the arts. 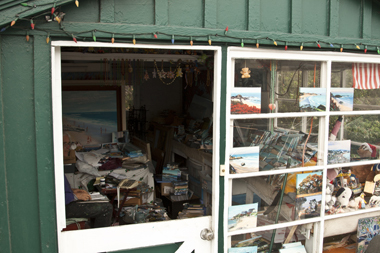 Laguna’s known for its galleries, and all that kinda stuff. It’s really cool. Christian and Dan live in San Clemente, so like 20 minutes south, and I live in Huntington, 30 minutes north. It was a good middle meeting area for all of us. Is it essentially the three of you who run the company together? Yes, that’s all of us, yeah. 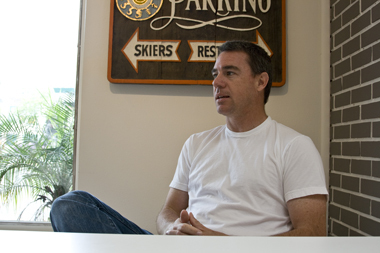 Actually the way it started was; Dan and I used to work together at Special Blend, Foursquare and Forum Snowboards. We actually did a co-brand with Bobby for Special Blends, and for Forum. So Dan and I worked together for 8 years, and Special Blend, Foursquare and Forum used to be owned by a company called Four Star Distribution, which does C1rca skate shoes, and Christian worked there, and stayed with C1rca when we moved. Dan and Christian partnered up about two years ago, to start Bond Outerwear, which is based on a platform of zero carbon, environmentally friendly outerwear. I’d already been working on SLVDR. They had sales and marketing set for Bond, but they needed design and manufacturing. That was my background with Blend and Foursquare, so I came in to do that, and we brought in SLVDR to be a year-round business to compliment the seasonality of Bond. We’re all under one roof, but they’re two separate labels. It was just a fit that made sense. So do you do the outerwear design and someone else does the graphics? Or how does that work? Christian handles most of the graphics. For Bond he does basically all of the graphics, and for SLVDR he has helped with some of the T-shirt graphics. And you have some guest artists do graphics too? On the snowboards we have, yeah. For Weekend Snowboards we had the guy that did, do you remember in the Ã¢â‚¬Ëœ80s there was the Town & Country design, Thrilla Gorilla? He did the first season’s Weekend graphics, and then he did another graphic in our most current batch. So that’s another project you guys do? We do three. In a way, we do four. SLVDR, Bond, then we do Weekend Snowboards, which is a limited snowboard brand. Coming from the Burton side of stuff, we saw a company making 30,000 of one board, and when we all started snowboarding, or skateboarding for that matter, it was fun to get something that nobody else had. So the idea with Weekend was, make something that was special and coveted, not just a commodity. They’re 150 per size, so 450 boards per series. What’s the plan behind keeping these projects separate? The only reason we might keep SLVDR separate than Bond and Weekend, is the board sports customer isn’t necessarily the same person buying SLVDR. The board sports customer, say a person more into Weekend and Bond, might be more interested in Volcom, or those more board sports oriented brands, whereas SLVDR is a little bit more understated, a little less geared to the core target market 16-22-year-old guy. And what’s the fourth project you do? We actually distribute a snowboard brand called StepChild Snowboards. They’re out of Canada. It’s kind of a cooperation – they distribute our brands up in Canada, so we help them out down here. It’s just the three of you doing all that? That’s pretty impressive. Yeah. I mean, granted, it’s a lot of work and definitely stuff slips through and we’re not able to give every single part of what we want to do its complete justice. But I’ve been used to working on three brands that have significantly more skews and designs in them, and I’ve been doing a lot of this stuff for a while, so I’ve got lots of experience at it. So it’s not just design, it’s also production and shipping and distribution out of here? Yeah. We do ship a little bit out of here. Continuing with the sustainability, we actually have our factory pre-pack all our orders, have them put it in a container, the container comes to the US, we never touch it, it goes directly to a distribution center and straight out. So that’s super helpful. Awesome. Can you explain the Attainable Luxury concept a little bit? Totally. When I grew up I didn’t know about designer names. I didn’t start to become aware of that until junior high, 6th grade, 7th grade and I was like, Ã¢â‚¬Å“OP? Quiksilver? Izod? Lacoste, whatever.Ã¢â‚¬ As a kid, a certain amount of my clothes, my parents got at thrift stores. I’ve always felt like you don’t have to spend a lot of money to get something of value. Being involved with manufacturing, I’ve seen there’s absolutely no reason, other than getting a designer’s name on it, why a sweatshirt should cost $200 bucks. 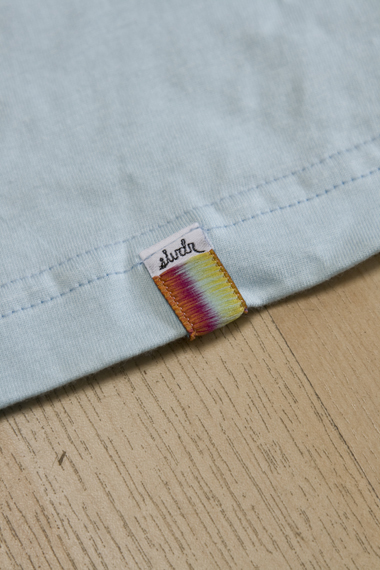 And I want to make sure that when a customer comes to buy a SLVDR product, they’re getting high quality, good fabrics, good fit, and good design at a reasonable price. It’s not gonna beÃ¢â‚¬¦I tend not to design, say with other larger companies who are like, Ã¢â‚¬Å“We need sweatshirts to be at $49.99 because that’s what all of our competition is, and we need to engineer it that way to get it there.Ã¢â‚¬ I come at it a little bit differently, Ã¢â‚¬Å“I want to use these materials, I want it to look this way,Ã¢â‚¬ and based on that, I know I’ve got a little bit of fudge room. My stuff’s gonna be 10-20% more expensive than some of the competition out there, but when you compare it to other boutique brands, it’s actually very reasonably priced. The idea is just get a good value for what you buy. Is there some significance to the SLVDR logo? It kind of looks like a ball of yarn, right? So the idea is, and it’s the idea that we’re all connected. And that’s where the foundation of board sports comes in. When I’ve traveled, if I walk through an airport and I see someone carrying a skateboard or a surf bag or a snowboard bag or something like that, I instantly have a connection with them I don’t have with 99% of the other people there. It’s the same thing if you’re in a coffee shop and you see someone on a Mac, not on a PC, it’s that connection. It doesn’t matter where you’re from or where you grew up, it’s that thread of common lifestyle. 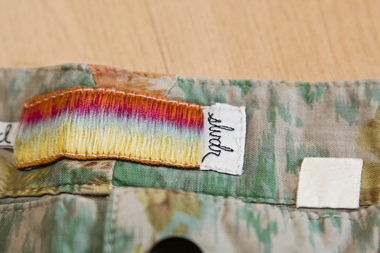 And there’s a whole other side to SLVDR too, which I call the Common Thread Project. 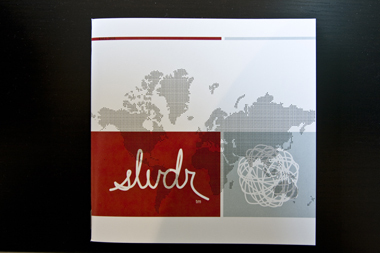 Speaking of which, who came up with the Common Thread Project, and how is SLVDR involved? The Common Thread Project, I basically came up with at the same time, almost even before, I really came up with SLVDR. And the idea is, these board sports that we participate in, even if we only do it when we’re teenagers, I think you learn a lot from being involved. You learn creativity, you learn perseverance, and you learn self-reliance because, you know, you’re not relying on someone else to pass the ball to you, for you to shoot it or whatever. Some of these sports aren’t cheap to get involved with, especially snowboarding, surfing probably a little bit less, depending on where you live, and then skateboarding is probably most reasonable. But you can go through a deck pretty quick, or you can go through shoes real quick. The idea is to take a portion of sales, and get donated product to deserving youth, to hopefully either get people involved or keep people involved with these sports that they might not otherwise have the means to be involved with. So you’re taking a portion of SLVDR’s profits and devoting that to covering the shipping costs of sending gear around the world? Exactly. We’ve done a few different projects.I’ve sent surfboards to a camp in Jamaica, sent wetsuits to a surf club in northern Baja, sent outerwear to a group up in Alaska. We ask all of our partners to consider the philanthropic side or the socially responsible side of giving. There’s a great partner that we’ll continue working with, it’s a group called Stoked. It’s a mentoring program. They take a professional, like an accountant or an engineer, and partner them up with an at-risk youth, and send them out to learn a sport together. The idea is the at-risk youth sees how a professional deals with adversity and learning something new. They do that with skate and surf and snowboarding. So SLVDR has donated snowboard stuff to them most recently, because they go to Big Bear and do projects there. We’ll continue to do stuff with them, but I always get inspired by these smaller groups that are doing things, like there’s a group in South Africa that does stuff, I’d love to work with a group in Brazil. I’m constantly finding new people that I’d like to work with. Now we’re getting into the collecting stage, and figuring out how much we can get, and then we’ll get it to the people. I wanted to talk about your travel experience and how that ties into the brand? I think just in general, this isn’t a slight on Americans because we have a huge area to cover, just to travel inside the US, but when you do get out, you notice how much people from other countries get out and see more than people from the US do. I think you learn so much by traveling. I get inspired by being in a new city, trying a new food, or seeing a new type of style. A lot of my travel, to start with, was based around surfing, or snowboarding, or skateboarding. Then you’re traveling for work, and you get to see a whole other side. For me it’s where I find a lot of inspiration to create some of the garments, and that’s why you’ll find garments are named after cities or regions. I’ll be in a certain place and I’ll feel like something like this would fit in this city, and that’s part of the inspiration. 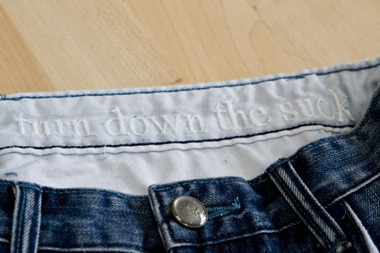 Are there any other labels or designers out there that are inspiration or that you appreciate? Yeah, there are so many. Maybe this is really political to say, but there’s few that you can’t find something to appreciate in. One brand that we’ve done some collaboration work with called Makia, they’re a Finnish brand, they’re really cool, they’re just great guys to start with, and their designs are nice and clean and they take some different approaches to stuff. I like this shoe brand called Keep, which I think is this really cool mix of casual, sort of an espadrille, sort of skate, you know, just casual, but unique. It’s funny, I’m sure every time you ask somebody this question either they’ve got a list and they’re ready to run through it or they’re like me and you’re like I can’t think of one specifically. I would say the one thing, outside of product, the one thing that does inspire me the most is people who have a passion for what they’re doing. Yvon Chouinard, who started Patagonia, is crazy inspiring. Then you got other designers, like Philippe Starck, they don’t think of price, they don’t think of the customer, they don’t think of anything, they just think, Ã¢â‚¬Å“This would be insane, I’m gonna do this,Ã¢â‚¬ That’s inspiring. People who really believe in what they’re doing and they do it, and it doesn’t appear to be that they’re sdoing it because they’re catching a paycheck. Dan actually introduced me to The Hundreds, and when we met Bobby, to see how truly how into and excited and how organic his approach was to everything, that’s really cool. That’s the kind of stuff that’s cool to see. What’s on the horizon for SLVDR? Just plugging along, just trying to keep the stuff going.